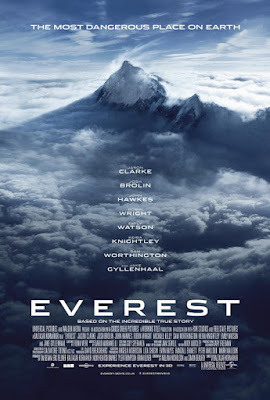 Everest which is based on a true story of a disaster in 1996 is a beautiful and informative albeit slow and predictable lesson on the harsh reality of mountain climbing on Everest. Great performances by all the characters, though at time especially towards the end, you'll need a score card or lineup card to keep track of who's who. 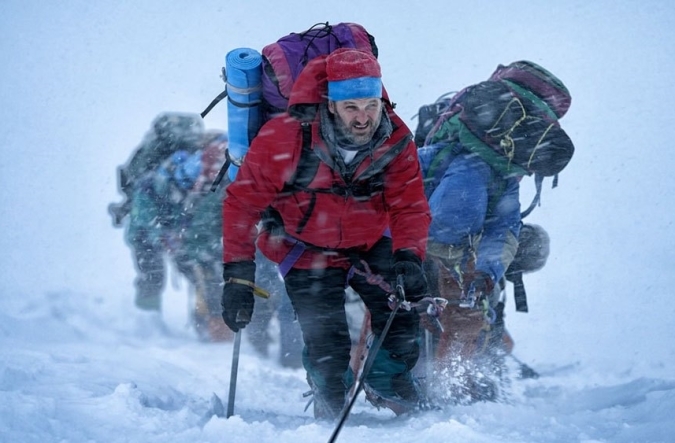 The stand outs in the cast include the leads Jason Clarke and Jake Gyllenhaal whose characters Rob and Scott led separate expeditions up the mountain during the same time. 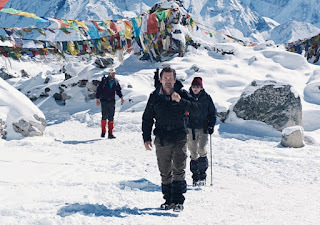 The filmmakers try to fit as much background and character development given the large cast of characters trekking up Everest. 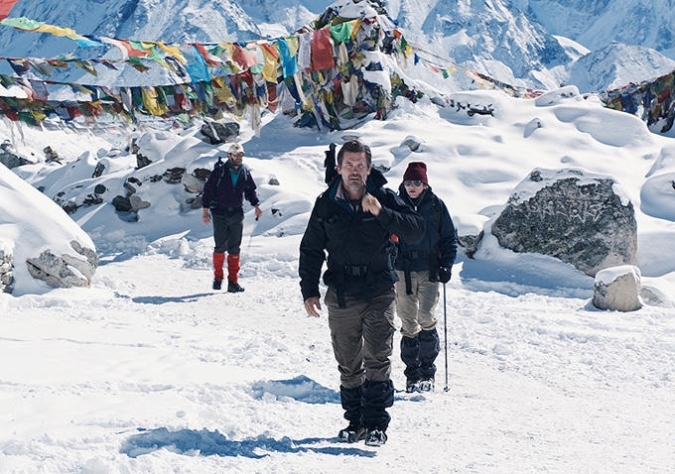 Because of this, it starts off a bit slow but well worthwhile especially when we see the various parts of Nepal surrounding Everest and the culture and people there. The beauty continues as we go through several elevations at different base camps, seeing the type of preparation and the obstacles they face for the average Joe who will never set foot near Everest is exhilarating. However, when the movie continues to drag as we see every single process and journey that they take, the movie begins to every bit like a 2 hour long movie. 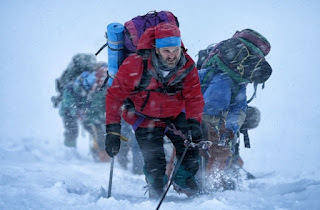 As exciting as a character in itself Everest is, with all its temperament, the long process of climbing Everest could have been shorten in regards to the film. And even without knowing the actual story for which the film is based on, you can unfortunately start to predict just who makes it back down the mountain and who doesn't. Overall, I would recommend watching this as a matinee if you have to watch it. And if you do, watch it on IMAX to take on the beauty that Everest has to offer properly. Those who are not into nature films may find that the action is not enough to sustain their interest even as things quickly go bad towards the end. 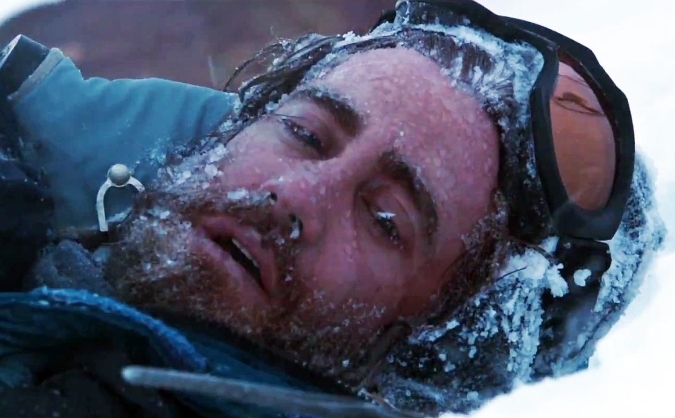 Despite the strong performances by its actors, the filmmakers would have done the movie more justice trimming the fat a little.